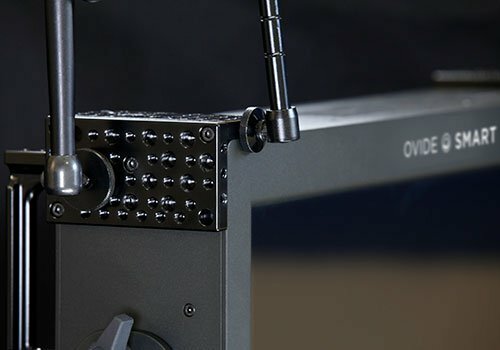 Record, playback and do the FX with one camera with 2 HD/2K cameras. Record, playback and do the FX with 4 HD/2K cameras one 4K camera. Its transport case complies with IATA size and weight to travel as checked luggage. Cooling system carefully designed to avoid overheating. Although it’s a powerful equipment it’s quite silent so it doesn’t disturb on set and fan speed is variable. Enjoy the superb quality of a 22” 4K DCI P3 display that is a touchscreen, sharp, super bright (500 nits), true color… If you prefer using the keyboard and mouse, you can still do it. You can choose what you want to see in each of the outputs: live feed from the input, playback, processed output, multiviewer… All controlled from the familiar QTAKE interface. Works with mains, block and camera batteries, and it informs about remaining capacity of the battery and running time. The system will warn when all power sources are disconnected and will run the system for 2 minutes, so you have time to put a new battery. 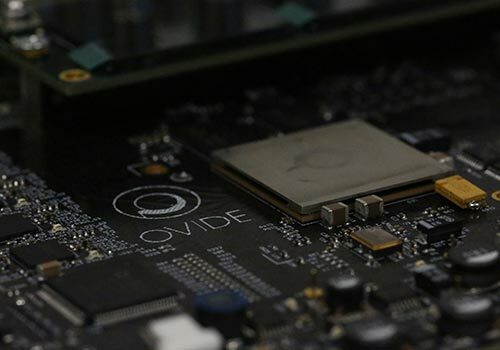 Built in GPU processor means you will get the lowest processed video possible for QTAKE. You can use any Bluetooth devices such as keyboard, mouse or headsets and have a wifi connectivity. 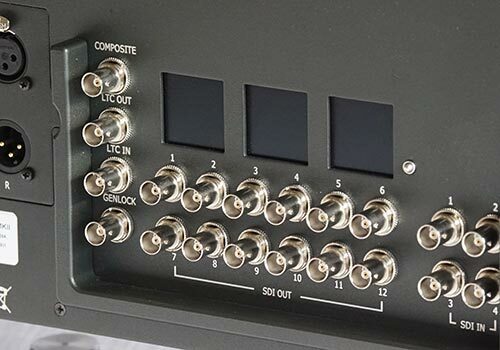 The cheeseplates are designed to mount accessories such as mini monitors or wireless video transmitters receivers. The handles help to transport the system in an easier way, and they alsowork as cheeseplates. All connectors have enough space between them so that it is comfortable to plug and unplug. 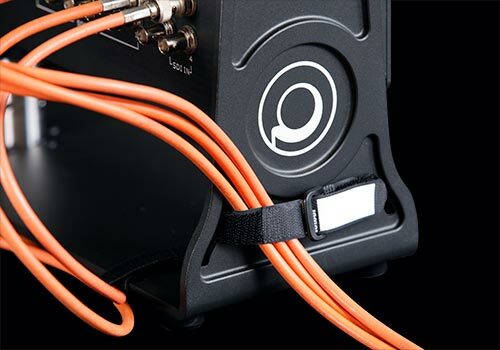 Special inserts allow the use of velcro ties to fasten cables or other accessories. 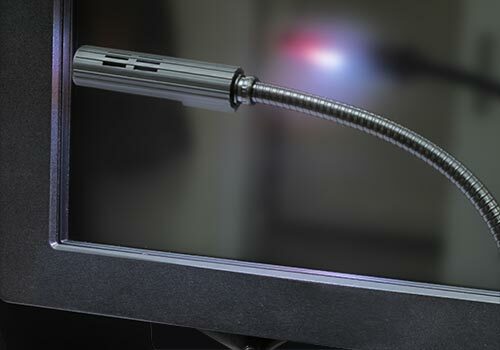 Connect the lamp to the output to read scripts or camera reports. Choose between a white light or a red light (for sets with dimmed light). USB-C 3.1, USB 3.0 and Gigabit Ethernet connections are available for blazing fast transfer speeds. 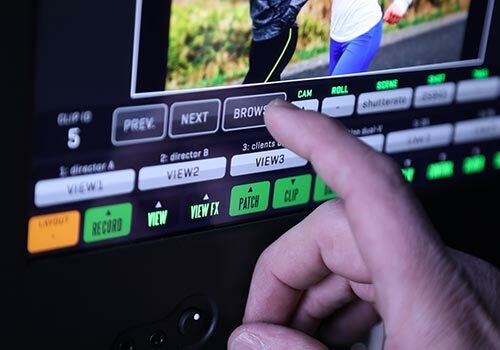 Thanks to its 4 inputs you can control up to 4 different cameras at the same time, but you could link 8 Smart Assist 4 EVO to control up to 32 cameras, but if your multicam shooting is a total wildness you could also add 4 quadsplits and control up to 128 cameras. 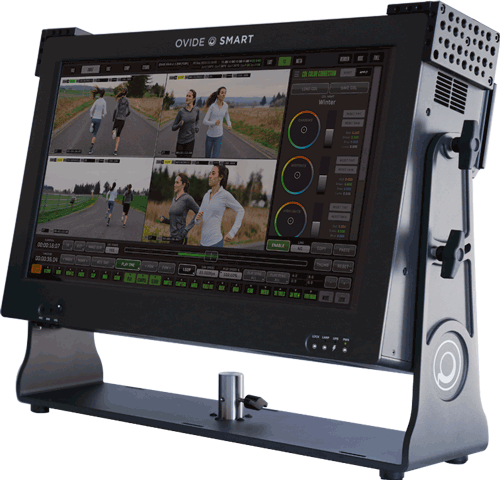 Ovide Smart Assist 4 EVO has a built-in video router you to feed and control your complex video village using the touchscreen or an iPhone. 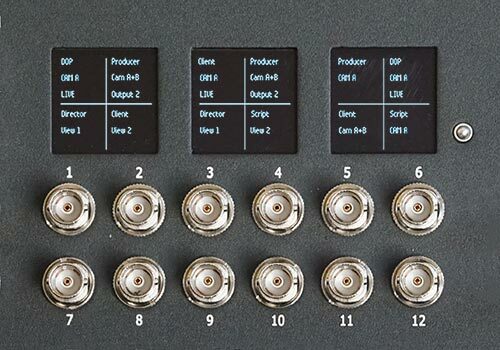 Choose a feed and name it and the OLED display will show it next to the BNC connector, this way cabling it’s really simple. Not only the label is displayed, also the video content (live, camera, quad split…). 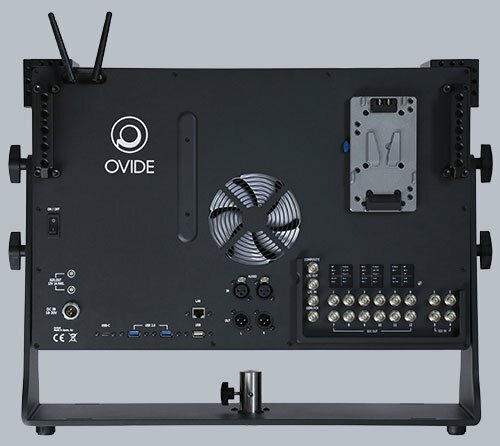 Ovide Smart Assist has been used in numerous productions such as “Game of Thrones”, “Ocean’s Eight”, “Solo: A Star Wars Story” just to name a few.